Last week, the savvy and wise (John note: and good looking!) John Doherty (flattery gets me everywhere, right??) wrote a thought-provoking post concluding that percentage of spend fees in PPC pricing models were ill-advised. John and I talked before he published the post, and we were able to think through some aspects of his analysis, as well as PPC pricing models. I asked if he would mind if I wrote a “response” of sorts to his article, and he graciously acquiesced! Here is what is interesting in this post: You are going to get into the mind of someone (me) who has thought for years on PPC pricing models (I’ve even spoken on them, slides here: PPC Pricing Models), but who is currently in the state of mentally wrestling with his (my) current model. In other words, I’m going to do something rather odd in a “defense” post. I’m going to write this post defending against some of John’s statements… and then make it to the end and detail how I am in the middle of another evolutionary shift in my agency pricing model that moves away from a strict percentage of spend model. First, it’s fantastic to see someone outside of PPC helping us think through pricing models. I don’t say this sarcastically. Every industry needs outside influence for disrupting our current way of thinking. Anytime any industry gets into too much of a bubble, the risk of that bubble popping grows. That being said, I think John brings some great points and objections (as we noted on our call), but I wanted to note a couple of “from the other side” thoughts. I was going to begin this post as a comment on the original post, and then it turned into its own post! All that being said, I have a few response thoughts that I think will ease the burden of % of spend slightly. I love that John is getting away from the idea of value = hours. That is one of the strengths of the percentage of spend model and we 100% agree there. My clients aren’t paying me to punch a clock, they are paying me to make them money and my goal is to create a pricing strategy that is aligned with that goal. John did an excellent job in thinking through what true value is, as I think that is absolutely crucial to the pricing conversation. John’s experience with multiple businesses shines through here. My main problem with the misaligned goals objection is that, if you do it right, the client will not increase spend unless they’re satisfied with our PPC work… and thus the spend is tied directly to their profitability (hence, also to their goals; hence, our goals are aligned). In ZATO’s instance, we develop relationships with clients in which they are completely in charge of their monthly spend thresholds. If they are happy with our results, they’ll increase spend in that month and we’ll be rewarded accordingly. In this instance, the misaligned goals accusation falls apart, because spend is actually aligned with their profitability goals. Note from John – I think we are splitting hairs here. I totally agree that clients should not increase budget unless they see profitability. I also know that it’s hard to have a client that is never upping their budget (which can be for many reasons) and if an agency is being rewarded for their efforts (supposedly) by increased budgets which means increased revenue, and the agency isn’t getting that, that client probably eventually won’t get the attention they deserve. Jury is still out on my thinking here. I disagree vehemently with this since I believe that increased profit and revenue deserves more than simply a cold-calculated retention. This is because there is a difference in quality of account management in the same way that there are differences in quality of employees. Using this illustration: It’s a good thing to reward Employee A who provides more value for the company than Employee B with a bonus, or raise. This encourages trust, harder work out of Employee A since they are being recognized, it is good for the business because they are likely to hang around longer as their work is being actively rewarded, etc, etc. In my opinion, it is no different with maintaining relationships with valuable agency partners. Think of it like this, can you afford to lose the *awesome* agency who is increasing your profit consistently year over year? If not, then you better understand that their happiness is just as important to you as your happiness is to them. You don’t hold all the cards; this is a relationship. I believe work that provides actual value should itself receive value, not simply retention. Note from John – I actually disagree with this still and stated my reasoning in my original post. Search for “Finally, you should be paying for results” to get there directly. More practically, increased spend actually does often (if not always) increase work. Remember that in PPC, increased spend generally means more traffic, which means keywords need more bid adjustments, ad tests need to be run more often, tools need to be purchased to help manage the accounts, communication increases as clients are more invested in the bigger budget (seriously, EVERY time). I’ve found that practically, an in-place % of spend agreement is a great way to for the agency to avoid scope creep as well as be rewarded for a job well done. I have found from personal experience that a client who doubles their ad spend also tends to double (at least, if not more) the level of interest they have in your management and thus communication alone drastically expands. Note from John – fair point! Look at Kirk’s thinking at the end of this article for how he is rethinking his pricing. One of the crucial things that Percentage of Spend does well, is to provide a simple, agreed-upon, and expected form of fee growth between clients and agencies. While there are many alternative forms of PPC pricing out there, I am attracted to the percentage of spend model precisely because of these 3 things. Simple: some agencies make an effort to figure out performance based pricing, but with attribution issues (what about incorporating other channels’ influences on PPC or vice versa? ), and tracking issues (do you the agency really, truly trust the client’s profit internal numbers?) as well as non-management issues (seasonal variances, or client breaking their own website), this gets messy fast. The benefit that basing fee growth off of spend, is that it provides a verifiable-by-both-sides simple, 3rd party tracked metric whereby all sides can see a clear way forward as PPC benefit is demonstrated. Agreed-Upon: Hand in hand with the previous point, is that I’ve found in the contract stage we can agree quickly on using this structure and then I no longer have to hit them up constantly over the remainder of the relationship for additional fees in increase to work scope. We have already agreed upon it, and the clients *always* remember that this is part of the deal with increasing spend, so if they do so they are already aware of the fact that ZATO’s fees will increase as well. It clears the way of communication so you’re not always the awkward brother-in-law hitting you up for money. Expected: This goes hand-in-hand with the previous point, but is a crucial part of the model (and where I believe other models fail). Communication and expectation with clients is everything, and I’ve found the expectation from the beginning that ZATO will be rewarded as value is demonstrated and work increased helps set the stage for a true partnership. We aren’t an employee dependent on hitting them up for a raise when we gather the courage. We are a true partner with a stake in the business value. It’s to our benefit to raise their profits, so they raise their spend, and we all get rewarded. If they expect this, it’s a different ballgame then hitting them up again and again for cash. All in all, there is no perfect PPC pricing model, but I think for these reasons that percentage of spend should get a more positive review than noted in John’s article. What I have found to be true in working on employing various models in my agency, is that there is truly no perfect model. In the meantime, having someone outside the industry who can help disrupt the status quo thinking is never a bad thing. Who knows, maybe discussion from this post will discover a new way of pricing that will become the norm for PPCers for years to come. After spending all my time defending percentage of spend, I wanted to share with you the inner workings of my own agency pricing changes happening even as we speak. One of the things I’ve begun to learn is that clients (1) understand the idea of increased fees with increased spend as value is shown, but (2) they like consistency (3) small shifts in spend happen all the time, which to be 100% honest, makes invoicing really, really, really annoying. The way that I am shifting in my thinking lately, is to combine the Flat Rate pricing model with the percentage of spend model. I think this nails the best of both worlds. I have begun personally to become more drawn to this for many reasons. What about you, any thoughts you would have to add to all of this! I love moving the agency PPC pricing conversation forward! Kirk is the owner of ZATO, his Search & Social Marketing agency, and has been working in Paid Search since 2010. In 2016, he was named the #7 Most Influential PPCer by PPC Hero and has written articles for many industry publications. He is also an avid conference speaker, having traveled across the US and UK to talk about Paid Search. Kirk currently resides in Billings, MT with his wife, four children, and little sleep. 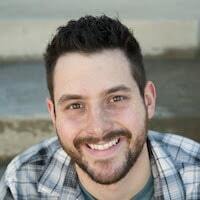 if you are interested in talking to Kirk about Paid Search management on your account, you can connect with him on his Credo profile here: Connect with Kirk. He can also be found regularly on Twitter: @PPCKirk. Your idea for a solution at the end of the post is similar to how I price my engagements except I come up with a price after seeing the account and assessing the complexity of what is required. The disadvantages of my ad-hoc method is that I can’t give people a good estimate without seeing the account and that it is harder to increase fees if the relationship is going well. I think that’s a good point, and one that we abide by in ZATO as well. Our Tiers do differ depending on services needed (just Google? Or Google, Facebook, Bing, LinkedIn, etc, etc, etc, etc) and we don’t send a final price until we’ve had the chance to discuss expectations with the client, and generally see the account beforehand as well. I agree with nearly everything Kirk writes. I think there is a fundamental problem with the wrong drivers not being discussed upfront with an agency when clients go into percentage of ad spend models. I agree that just having a % of ad spend without any other parameters makes for an unhealthy relationship. There will always be a lingering doubt about whether certain spend is to increase fees or it actually contributes to revenue/profits. In my latest agency, we focus on % of ad spend with performance goals tied into the engagement. However, we go after clients that want to grow and having an agreement from the get-go that rewards growth while keeping within the performance parameters makes the relationship possible. It’s not rare that we double the spend, and often triple the size, of an account within 6 months while staying profitable. Kirk, with the tiered model I’ve seen in the past that clients tend to scuff a bit when you go from $19,999 to $20,001 in ad spend and thereby get $1,000 more for $2 more of ad spend. Andrew, great thoughts. I think you brought out one of the cons in the proposed Tiered model (no pricing model is perfect, again with our mantra!). I think there are a few discussion points here with the client (note, we’ve been running variations of this model where the final Tier was % of Spend, but where we still dealt with the flat rate jump so I believe I can answer this from experience). First, the easy route (and the one we take at ZATO as much as possible) would be to consider charging by the ad spend “budget” rather than actual ad spend. I.e., when a client communicates to the agency: “We want to hit $18000 this month,” then the agreed upon amount falls into that Tier. If the agency ends up over-spending to $20K then it would, in my opinion, be right to honor the original client request of $18K and not charge the fees for the $20K even though that’s where actual spend hit. What I usually do in those circumstances, is keep a close eye on my budgets and projections throughout the month. If we are having a *great* month in conversions, but projected to spend higher, I’ll contact the client, lay out the numbers, and ask what they want to do. The ball is again, 100% in their court at this point. If they choose to move higher and push us into a new Tier (in the arrangement we assigned), then we deserve to be paid according to that agreed upon arrangement and they need to take that into account when deciding whether to up the budget for that month. Another side of that is client education. The Flat Fee in that Tier is *instead of* a constantly rising % of Spend fee. I.e., the whole point of the system is to allow measurable, expected levels of growth. Were we to be on the old % of Spend model at the $20K mark, they would have already been paying far more than what they were currently paying anyway. This is just, in my opinion, bringing them up to the next “level” of reasonable fees in that scenario in more of a measurable way. If a client really bucks against this, you can always pitch a % of spend arrangement in which they get constantly upcharged no matter where they are in the Tiers (which they’ll more than likely not appreciate). Finally, the last note I have on that is (real-talk time)… frankly, that sounds like a crappy client. Seriously, who agrees to a Tiered Fee level and then complains when that actually happens?! Not a partner invested in seeing both parties successful. If they didn’t like the arrangement, they should have discussed this at the point of signing. Especially since this model is *extremely* popular in a SAAS model world (admittedly with different methods of identifying Tier growth). You just can’t complain about it since the SAAS company has your account and credit card hostage. So it’s not like this model is solely owned by PPC. To move the conversation in a different direction. You noted that you do performance goals as part of the equation. My hesitation with that has always been (1) accurate unbiased internal tracking available to both sides (2) attribution. Briefly, what I mean by attribution is that I have found the more my objectives are tied hard to last click PPC goals, the more I am tempted to play less with “everyone else” in the client’s marketing strategy and the more tempting it is to do all we can (remarketing for instance can steal a LOT of sales from organic/email/etc/etc/etc) to grab credit for PPC. Admittedly, we always act ethically for the good of our clients, but the temptation is strong and it’s almost impossible not to slant that way. How do you negate those in your performance goals model? Good point on the bad client fit if they object to the agreement they’ve entered. What I/we do is provide a tiered percentage of ad spend that decreases as the ad spend increases. E.g. starting out at 20% below $20,000, then 14% at $50,000 (not actual numbers), etc. Regarding the performance-conversation, then that’s defined upfront. Any hiccups on the website that results in improper tracking is simply taken out of the calculation for those days (it’s incredibly rare it happens though). Regarding attribution, then it’s all about perspective. We apply a minimum performance target as well as a goal. If we fall below the minimum (typically where the client will lose money on each sale), then the fee drops by 50%. However, often the accounts run several levels above the minimum (E.g. if the minimum is 400% ROI, we typically run on 700% ROI). The attribution part of it is already discussed upfront, and it’s either data-driven, position-based or in rare situations we’ll use time-decay. I argue against last-click from day one and it’s often included in my proposal that last-click is “old school”. But to be honest, then I haven’t had a client yet where such a significant part of the revenue was attributed “wrong” that it had a big enough impact that it touched the min. ROI on PPC. And honestly, most clients are very fair. I have a couple that very early on when in and said “Listen, Andrew. We’re just starting out in XYZ country, so we shouldn’t have a performance target tied in with your fee. We trust you”. And I love that trust. It means we have the right relationship and that’s all that matters to make the pricing work. One of the parts where I think many of us argue against other people’s pricing models is because we think our own work the best. But the truth is that our pricing models will attract different advertisers. Mine appeals to clients that want to grow while not dropping below a certain performance level. Others wants their account maintained, and still grown, but mainly maintained and that’s where flat rate is great (I have flat rates for those cases too). In White Shark Media, we solely run with flat rates because it’s easier for small businesses to understand and with 1,300 clients it’d cost us a fortune to calculate, invoice and collect a percentage of spend. Looong comments 🙂 Good conversation. Really helpful additional comments! I respect the experience you bring, especially with that volume of clients. ZATO is not remotely close to 1300, so it’s fascinating to get perspective from a bigger agency. Agreed that things like size, experience, target, etc all weigh into the pricing model discussion! Thanks for chiming in and bringing value with your comments. How will your structure be impacted if the client implements a new compensation model for their sales force that significantly changes their behavior? What if the awesome leads you’ve been sending for some significant period of time are suddenly not viewed in the same way by the people who most control these types of “results” the client sees in their bottom line (that directly impacts your compensation)? Are you prepared for your compensation to take a nosedive under these types of circumstances? You should be if your fee structure is based on percent of spend or even some type of revenue or profit figures for the end client. I have had this happen. Client changed their sales comp model and reps were cherry picking only certain leads to follow up on. Had I been on some type of percentage model, I would have probably been doing more work to try to morph the account to up the performance for the new internal landscape for less compensation, when the real issue was their internal policy shift and subsequent sales rep behavior. In my opinion, the most important thing you can do is to develop trusted partner/advisor type of relationships with clients. If you are able to do this, your pricing ceases to be an issue – whatever model you utilize. In the above situation, you can have an honest discussion with the client about what is happening and how you collectively want to handle it in the PPC arena and move forward from there. In my opinion, the most important thing you can do is to develop trusted partner/advisor type of relationships with clients. If you are able to do this, your pricing ceases to be an issue – whatever model you utilize. Interesting read and comments here, if it’s worth anything from a fellow agency owner and ‘Premier Partner’ – our model is fixed fee. We have a minimum we will accept for our monthly work, and then we charge based on what volume of work we anticipate and the value we bring. Volume of work comes down to client, do they need display? Social? LPs? Feed optimisation? And so on. That’s where the pricing shifts, but otherwise, we avoid percentage of spend because – if we’re honest here – we all know that more ad spend does NOT equate to more work. In some cases, where it does, we have a frank discussion about the fee increase. But otherwise, a fixed fee that covers all bases. I will say this approach makes us ‘expensive’ compared to most, but our retention rate (96% past 12m) tells me once we get over that objection/hurdle, we prove our value. In my opinion, that is thinking of pricing strictly in a “time is value” way which has a number of weaknesses (time=value punishes efficiency and skill growth to name just two weaknesses). Basically, what I hear you saying is that a fee increase must be tied directly to a work increase, but this where I fundamentally disagree. I believe that (like John noted in his original article that spawned this conversation) value is composed of more than simply “work put in”, and even more so, it primarily composed of results. (1) someone who works 80 hours per week for them, but never brings in additional revenue. (2) someone who works 2 hours per week and vacations for the rest of the time, but their proprietary algorithm doubles your business every month. Obviously, at the end of the day, we could care less what Person 2 is doing with their time if they’re doubling our business! We happily pay their (reasonable) fee because our business is doubling. That illustration is somewhat overstated, but does IMO, get to the heart of the issue… when push comes to shove, value is what clients *really* want to pay for, not time. Thus, I think it’s completely arbitrary to ask if the % of spend brought in more work for the agency (sure, that can be a natural outcome). To be blatantly honest, who cares. Rather, the question to me is, has the agency increased profit enough to allow the client to continue to increase their spend, thus demonstrating value? Admittedly, this is why trust is important, of course. We at ZATO never increase spend past a budget without express permission of a client. But you can be sure, if they push spend past the normal budget, it’s because they see the value in the advertising we offered for that month, and we are simply seeing the fruits of our labor. Call it a bonus, a raise, whatever you want. That’s how I see it at least. Love to hear your continued thoughts! Kirk is the owner of ZATO, his Paid Search & Social PPC micro-agency of experts, and has been working in Digital Marketing since 2009. He has been named one of the Top 25 Most Influential PPCers in the world by PPC Hero for 3 years in a row, and has written articles for many industry publications. He is one of the hosts of the weekly #PPCChat on Twitter, as well as an avid conference speaker, having traveled across the US and UK to talk about Paid Search (especially Shopping Ads). Kirk currently resides in Billings, MT with his wife, soon-to-be five children, and little sleep.